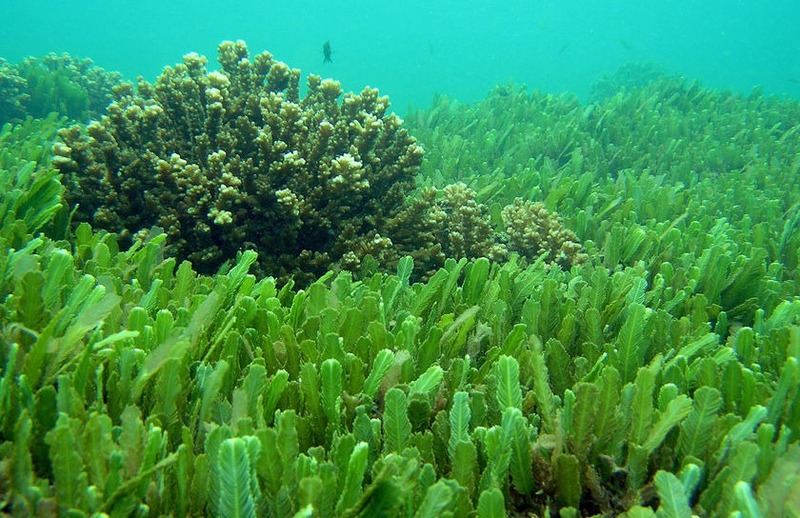 Other countries have harvested mineral rich sea vegetables for thousands of years. From Russia to the coastlines of North and South America sea vegetables are served up regularly, while in Japan they are a diet staple. 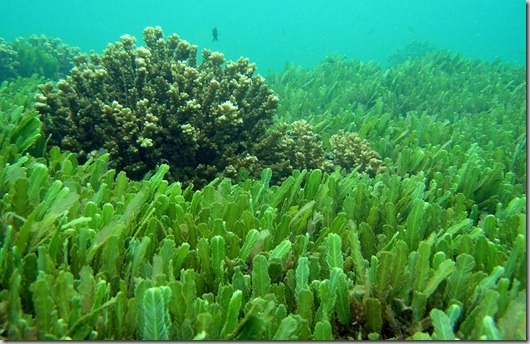 Benefits of sea vegetables are uncountable. Research studies by some of the world’s most respected scientists have led two, Drs Seibin and Teruko Araski, joint authors of the book Vegetables From The Sea, to declare that sea vegetables contain more minerals than any other kind of food. This is because, unlike land-based plants and vegetables which are sprayed, with pesticides, growing conditions in the ocean depths keep sea vegetables free from chemicals. Instead, constant deposits of rich nutrients from underwater currents deliver high concentrations of minerals rarely found in land plants. Copper and iron for healthy blood. Magnesium to assist in the functioning of nerves and muscles. Potassium for the maintenance of the body’s cells and balance of fluids. Zinc for the immune system. An assortment of vitamins, including A, B, C, E and particularly B12. Iodine, necessary for strengthening the nervous system and which can help in reducing stress levels. The only major drawback in eating sea vegetables is that care should be taken in thyroid conditions and some have a high sodium content, so are unsuitable for anyone on a low sodium diet. Otherwise, sea vegetables have been found to help reduce blood cholesterol, lower blood pressure, protect against arteriosclerosis, even on occasions, to help regress tumors. Varieties containing anticoagulants have also proved valuable for people with heart conditions to prevent blood clotting. And as well as helping to extract toxins, especially heavy metals, from the body for the weight conscious the good news is that the negligible carbohydrate content in sea vegetables filters through the digestive system without adding calories. Most of nearly 100 varieties of sea vegetables identified worldwide have their own distinctive taste and texture, ranging from mild tasting arame to the stronger flavor of wakame. To cultivate a taste, this is one of the best to try. Mild and rather sweet tasting, is stringy black threads turn dark brown when cooked. Arame is often added to soups and is delicious sautéed with root vegetables such as onion or carrot. It is also good accompaniment for tofu. A rich red color, it consists of ribbon-like strip ending in smaller fronds. Popular in different dishes from soups to salads, it works particularly well with chicken. Black, crisp and tender to eat and resembling pine needles, hijiki has a strong taste and can be served in similar ways to arame, although its thicker texture requires a longer cooking time. One of the most common sea vegetables. Different varieties yield different tastes, from a strong ocean flavor to more delicate ones. Wakame’s great attraction is that it cooks quickly, making it ideal to add to soups, stews, bean dishes, other vegetables and salads. For a quick and nutritious seasoning, try toasting dried wakame over a flame, then crumbling or grinding it into powder. This can be tossed with cooked rice or used to season soups and salads. Wakame is also delicious deep fried and eaten as a snack. Brown in color, kombu helps to make mouth watering clear soups and i s good added to stews, stocks and sauces as well as being pickled. Kombu also makes a pleasant condiment, cut it into tiny pieces and pop them into an unoiled frying pan over a medium heat. Stir continually until the pieces of kombu become very crisp, then transfer into a bowl and grind down to a fine powder. Sprinkled over a vegetable dish or added to home made soup, this really improves flavor. Children like this one which, like many sea vegetables, is available in different flavor strengths. A versatile protein, its rich in vitamins A, B and C as well as calcium and iron. Topped with nibbles such as raw vegetables, tuna and avocado, nori makes an ideal party food. 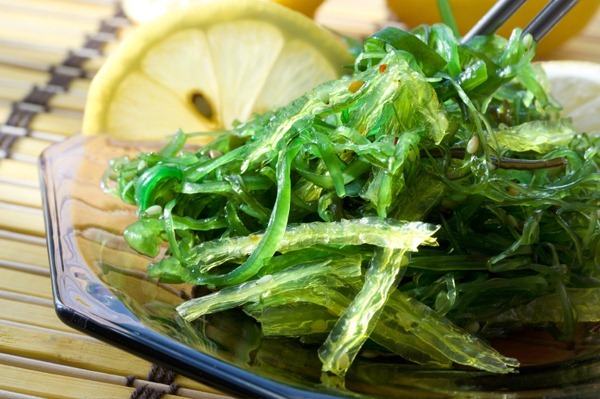 Sea vegetables are delicious with any meal. To accustom the palate, first, try milder tasting ones such as arame or nori. Then, as your taste buds adapt, try out stronger ones.